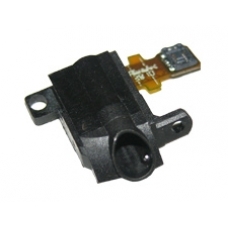 This is the replacement headphone socket or jack assembly for the 4th generation iPod Touch (iTouch). If you have found that your headphones have stopped working, or the sound is broken and distorted, then replacing this part will solve the issue. * Original Apple Spare Part.